Although the cloud comes with a basic framework for security, it still has its inherent security risks which need highly specific cloud security solutions to reliably protect your data. An Identity and Access Management (IAM) solution allows organizations to manage user access to critical data. It is an intermediate layer between your users and your applications/data. Adaptive authentication, method for enforcing the right authentication factors depending on users profile and tendencies. It acts to balance the level of trust against risk. Governments across the globe rely increasingly on technology today to serve their citizens better. Security is the most critical consideration, since government agencies and departments are possibly the first line of defense against any cyber attack. Identity & Access Management Solution The corporate user lifecycle, streamlined. 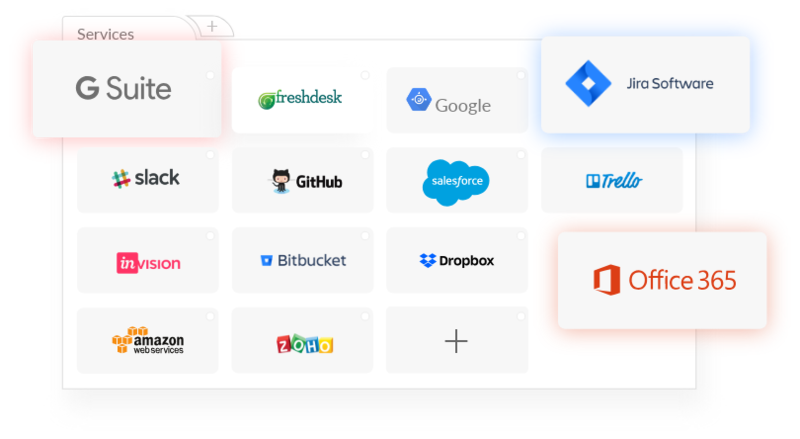 Akku is a robust, flexible identity and access management solution created to help you manage every stage of the user lifecycle more effectively. 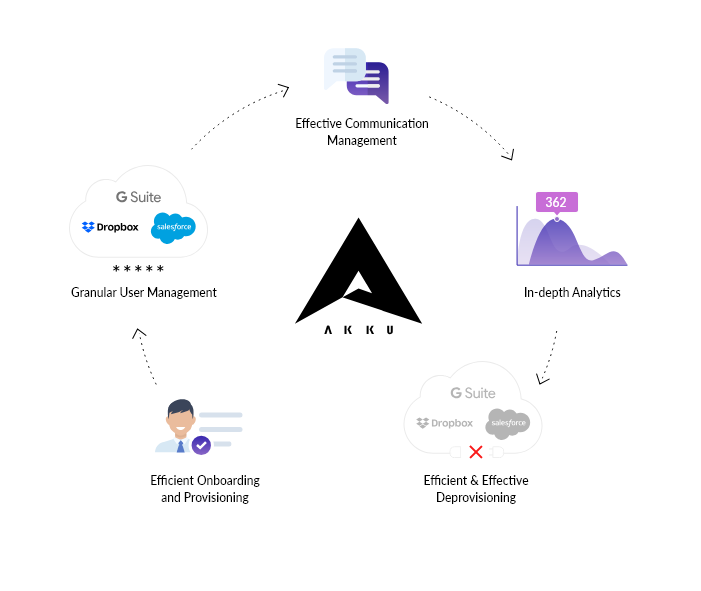 With its range of versatile features, Akku helps improve data security, standards compliance, efficiency and productivity. 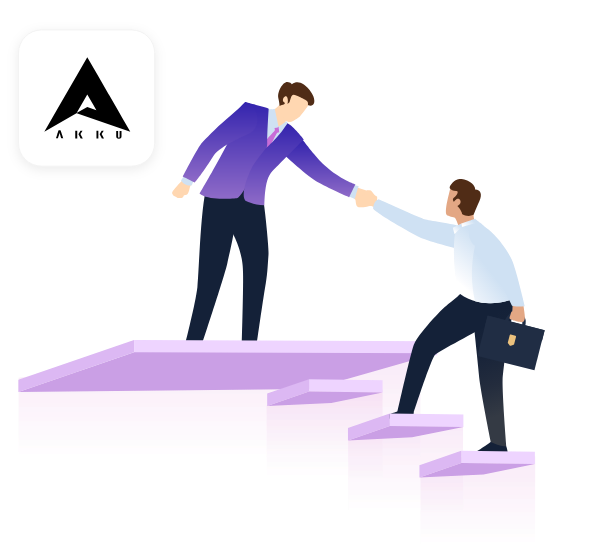 Akku delivers a powerful cloud SSO solution that can be integrated easily with almost any cloud or in-house application, and packages a range of security and access control features that make user provisioning, management, access control and deprovisioning seamless. 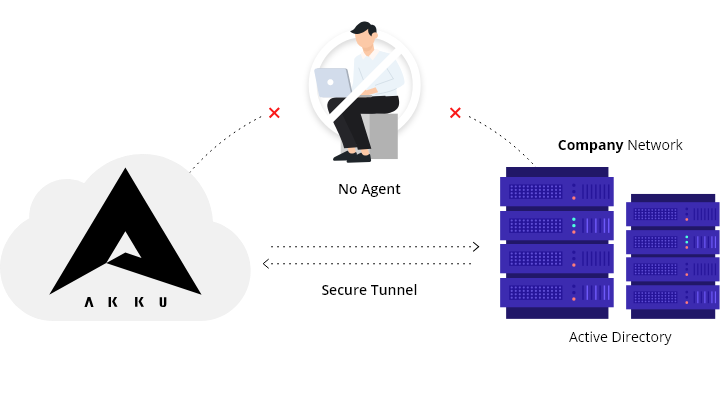 Unlike many other IAM solutions, Akku is built on an agentless architecture, without the need for a user agent to be installed on your infrastructure. So you know exactly what parts of your sensitive user information Akku can access, ensuring transparency and control. The cloud has opened up possibilities for an unprecedented degree of flexibility, convenience and productivity for enterprises and their employees alike. To make the best use of the benefits of the cloud, it is necessary to optimize processes at every stage of an employee's journey at an organization. Akku is a product by CloudNow - a pure cloud company with no legacy distractions. With an entirely cloud-based range of products and services, we live and breathe the cloud, harnessing its power to develop future-proof solutions for your enterprise. CloudNow’s Channel Partner Program was built to help you grow your business by delivering greater value to your customers through CloudNow’s range of products and services. As a CloudNow Channel Partner, you stand to gain through industry-leading referral margins and dedicated support in sales and training. We’d love to show you more. Get in touch now! I want to control my cloud!